This week we have a look at the relationship between Azamara Club Cruises and the rapidly growing Cruiseco cruise agents’ consortium in Australia, which is now expanding into the UK. Elsewhere, Pullmantur Cruises is now on its fourth UK agent in the past several years, having appointed a division of Fred. Olsen Travel to look after its business in the UK. And Portuscale’s Funchal, having had her 2015 cruise season cancelled, is now available for long-term charter. 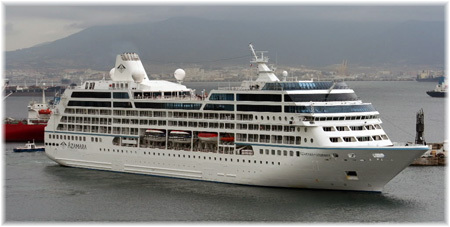 The Cruiseco consortium of Australian (and now UK) travel agents first announced its exclusive charter of the luxurious Azamara Journey in April 2013. The 37-night voyage, departing on April 21, will cruise the Mediterranean and visit twenty-seven ports in eleven countries. The mid-sized Azamara Journey carries just 682 guests. The length of this Cruiseco charter partly results from the fact that most of its passengers are Australian, and Australians being located so far from Europe and North America, are known for their long holidays. Now, with charterer Cruiseco expanding into the UK, British guests too are able to avail themselves of these long-duration cruises on a top-line product. Cruiseco was formed in Australia in 2000, beginning with a staff of two and six agent members, working together with two cruise lines. Today, the Australia branch numbers 230 agent members backed by sixty staff working with fifty cruise operators. A little over a year ago Cruiseco also expanded into the UK, where it plans to have a total of sixty outlets in the near future. It has joined the Association of British Travel Agents (ABTA) and now holds its own UK Air Travel Organisers License (ATOL) so that it can package fly, cruise and hotel stays for UK members of the consortium. Working together with Azamara Club Cruises, Cruiseco Australia has also made arrangements to bring sister ship Azamara Quest to Australia under charter. Azamara CEO and president Larry Pimentel first announced the line’s intention for Australia a year ago in Sydney, with Azamara Quest debuting in Australian waters, on a 14-night Christmas and New Year cruise between Bali and Cairns, concluding on January 5, 2016. The ship will thereafter remain in Australian waters, offering four 10- to 17-night cruises through January and February, before moving on to Asia in March. 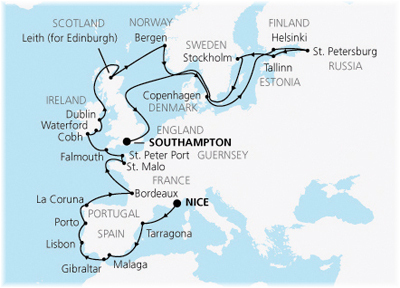 Back in Europe, a few staterooms remain on the Azamara Quest, leaving Nice on May 28 for another 37-night cruise via Tarragona, Lisbon, Bordeaux, St Malo, St Peter Port, Falmouth, Cobh, Waterford, Dublin, Edinburgh, Bergen, Copenhagen, Helsinki, St Petersburg, Tallinn and Stockholm. This Cruiseco charter includes twenty-two ports in thirteen countries and features nine overnight port stays. Included in the fares are all onboard meals including wine and beer with lunch and dinner, return airport transfers, gratuities, port charges and taxes. This is unlike the usual Azamara product, which is all-inclusive but this difference is also reflected in the fares. Balcony cabins are still available at reduced fares starting at £5,129 per person (£4,559 pp for an outside cabin). Next year, Cruiseco will offer two such charters. On April 22, Azamara Journey will leave Nice for Venice on a 34-night cruise calling at thirty ports in thirteen countries, with five overnight stays and fifteen late departures. Highlights include calls in France, Spain, Italy, Malta, Greece, Cyprus, Turkey and Croatia and fares start at £6,090 per person. On September 24 Azamara Quest will leave Montreal for New Orleans on a 32-night cruise with nineteen ports and nine overnight stays. Highlights include Quebec, Halifax, Portland, Boston, New York, Baltimore, Norfolk, Charleston, Port Canaveral, Miami, Key West and Mobile, Alabama, with fares starting at £6,210 per person. By virtue of these month-long charters, of which it now generally offers two a year, Cruiseco has become Azamara Club Cruises’ largest charterer. The cruises are exclusive in that they can only be booked through members of the Cruiseco consortium. In yet another, much shorter charter, Cruiseco is taking on sister line Celebrity Cruises’ 2,852-berth Celebrity Eclipse, fresh from an April refit, for a 5-night May bank holiday charter, leaving Southampton on May 28 for Cherbourg, Le Havre and Zeebrugge. 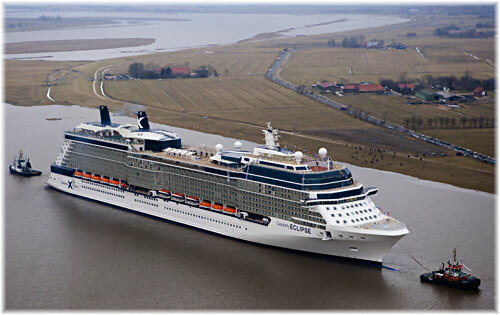 Fares start at £340 per person inside, £430 per person outside and £515 per person balcony, subject to availability. Although Pullmantur Cruises, the Spanish arm of Royal Caribbean, has been represented in the UK for several years now, the line has had some difficulty in finding the right formula for its UK representation. At first represented by a small independent UK agency with which it had previous links, about five years ago Pullmantur appointed Major Travel to represent them in the UK. 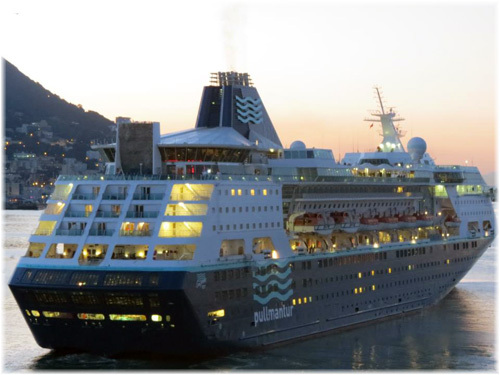 This arrangement only lasted a few years however before Pullmantur moved on again to Boadway Travel, an arrangement that lasted less than a year. More recently, Pullmantur has appointed UK tour operator Fred. Holidays as its general sales agent in the UK. A brand of Fred. Olsen Travel, itself an affiliate of Fred. Olsen Cruise Lines, Fred. Olsen Travel already represents operators such as AMA Waterways and Star Clippers. Pullmantur was the first mainstream cruise line to go all-inclusive and this aspect is being emphasised as Fred. Holidays begin to package some Pullmantur cruises to include flights from the UK. News arrived last week that Portuscale Cruises has cancelled the 2015 cruise program for its 430-berth veteran Funchal, which received a substantial and quite stylish refit in 2013. Coming after the cancellation of a planned Australian winter season for the same ship, this leaves the new Portuguese line in a very uncertain position. It appears that bankers Montepio (who has also backed the previous owners, Classical International Cruises) have run out of patience. Funchal was reported to have operated for 200 days on twenty cruises in 2014, carrying 6,800 passengers and generating €8 million in fare revenues. This produces an occupancy rate of just under 80% on 200 days but closer to 45% if we prorate these results over the usual 350-day operating year, as the ship spent a lot of time not actually in service. She last operated a cruise from Lisbon to Madeira over the New Year’s holiday and will now remain laid up while Portuscale seeks a long-term charter for the vessel. The one thing that is sure is that Portuscale’s 556-berth Azores, which previously operated as the Athena, has been bareboat chartered by Cruise & Maritime Voyages for two and a half years until October 2017. The likely fates of the remaining ships in the Portuscale fleet, the 568-berth Lisboa and the 334-berth Porto, built respectively in 1955 and 1965, also remain uncertain.